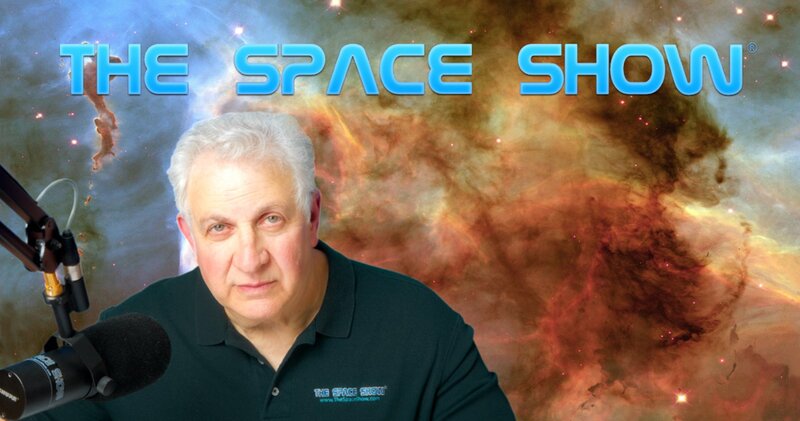 We welcomed Dr. Launius back to the show for this one segment 65 minute discussion going back in time to the ancient astronomers through the current activities and efforts in space development. I started the discussion by asking our guest about human spaceflight in the ancient world. Was it something talked about and eventually written about? I also asked our guest how the work of the very early astronomers got passed on to the 15th century astronomers who built upon this early work. Don't miss these early discussions as Dr. Launius had much to say in response to my questions. Leaving the ancient world, we did a fast travel along the space and astronomy development timelines to end up with present day activities and a look into the future as our program came to an end 65 minutes later. Along the way, we talked about the work of the 15th century and later astronomers and how their work helped us to evolve along the development path. I asked our guest about the modern era which maybe had a beginning in the 19th century. Listen to what our guest had to say about this period and those that contributed to it. Your comments are welcome so please post them on the blog. Dr. Launius continued forward and said it was World War 2 that really brought out change. He said every nation fighting in the war used rockets. He talked about some of the rockets including the V2 and Russian Katjusha rockets. He even said the Bazooka was a rocket weapon. The war changed the investment and technology interests with space activities moving forward after the war. During the show we took several listener emails including one from Todd asking about space evolving from the military more than the civilian world. Roger was quick to point out the space civilian advocacy efforts stemming from the 1930s. He mentioned several of the leading people including Goddard but also organizations such as the American Rocket Society, the British Interplanetary Society and the German Rocket Society. The interest in space from this effort was more about excitement and the wanting to explore space than anything else. During our program we talked about the Moon race and then the after Apollo period in the 1970s. Also mentioned were the 1950s space boosters and advocates that came from the war such an Von Braun . Sputnik was mentioned as was the excitement and push for human spaceflight to the Moon and on to Mars. Our guest talked about realism and other factors coming into play citing the Nixon Space Task Group as President Nixon did not think we could afford5% of the budget on space. In addition, we talked about the evolution of public-private partnerships for space, then the impact of the space shuttle and the ISS, both of which did impact and change the way we do space. Roger suggested the shuttle was very successful in opening up Leo to commercial activity which was one of the goals for the shuttle. International space interests resulted from Apollo. Roger cited the starting of the Indian space program and showed how it has evolved to date. As we neared the end of our discussion we talked about Newspace, the private sector, SpaceX, and more. Roger mentioned Orbital Sciences, told us about the problems he had with the NewSpace terminology and said that our space launch time line was about equal to a DC3 on an aviation development timeline. He talked about how the jet engine revolutionized aviation but that space launch was still waiting for a transformative change away from rockets. Don't miss this most interesting discussion. We then talked about why go to Mars, the reasons often cited for wanting to go to Mars, returning to the Moon and the fact that there were more lunar capabilities than Mars capabilities. The subject of our wanting to be a multi-planet species came other as did other national space programs and plans, especially those coming to the front regarding commercial space. Please post your comments/questions on TSS blog for this show. You can reach Dr. Launius through me or his book site through Smithsonian Books. "Space Exploration From the Ancient World to the Extraterrestrial Future"